An article on the recent redevelopment of Market Street, and the restaurants that are now there. 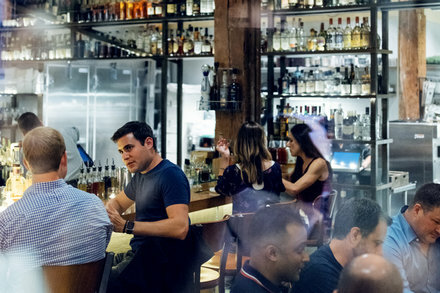 Once an area many avoided, a long-decaying stretch of Market Street is undergoing a revitalization, owing to culinary, tech and real estate interests. We were pretty unimpressed by The Market (though the stunningly rude and nasty cashier at Azalina’s certainly made an impression of a different sort).